At the turn of the twentieth century, the US system of public finance underwent a dramatic transformation. 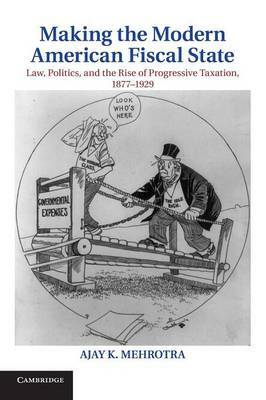 The late nineteenth-century regime of indirect, hidden, partisan, and regressive taxes was eclipsed in the early twentieth century by a direct, transparent, professionally administered, and progressive tax system. This book uncovers the contested roots and paradoxical consequences of this fundamental shift in American tax law and policy. It argues that the move toward a regime of direct and graduated taxation marked the emergence of a new fiscal polity - a new form of statecraft that was guided not simply by the functional need for greater revenue but by broader social concerns about economic justice, civic identity, bureaucratic capacity, and public power. Between the end of Reconstruction and the onset of the Great Depression, the intellectual, legal, and administrative foundations of the modern fiscal state first took shape. This book explains how and why this new fiscal polity came to be.